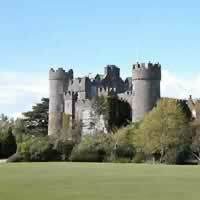 Second largest city in Ireland and nicknamed the Rebel city, its name from the Irish word for marsh - Corcaigh. 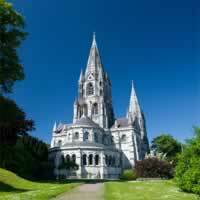 Saint Finbarr, its patron saint, founded a monastery here around 650AD, the Vikings established a colony on the 10th century. It`s narrow alley ways, waterways and Georgian architecture helps to give the city a genuine continental feel. Cork became a base in the 19th century for the National Fenian Movement, and thus gained the title of the Rebel City. Each year it holds the world famous Jazz Festival, a lively weekend attracting jazz enthusiasts and fun seekers from all corners. The city center is very amenable to walking - there are over 30 bridges across the two channels of the river, and while few of the buildings from prior to the nineteenth century survive, the street layout is interesting and the Architecture can be also. 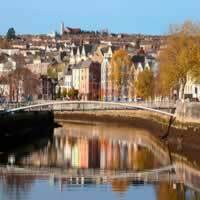 Not only does Cork revel in its reputation for fine food and drink, the city also regards itself as the country`s only genuine guardian of Celtic culture. 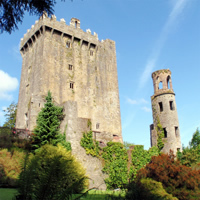 A charming vacation package to Ireland awaits you! 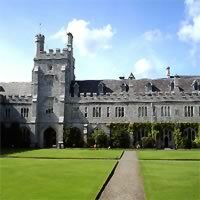 Visit Dublin (overflowing with tradition; old pubs and trendy coffee shops among castles and majestic countryside) and then Cork by train (with an impressive English market and large harbor). This is a flexible vacation package. Select your number of nights in each city, desired hotel and activities. 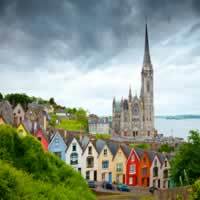 An exhilarating vacation package leading you through beautiful cities in England and Ireland. Begin in London (a city rich in history and encompassing modern conveniences; pubs, shopping, food and nightlife) then continue to Dublin (a delightful mix of medieval, Georgian and modern architecture, a wealth of history and culture, a legendary literary tradition) and Cork and Killarney (both equally beautiful and with a timeless essence) Return to Dublin. This is a flexible vacation package. Select your number of nights in each city, desired hotel and activities. 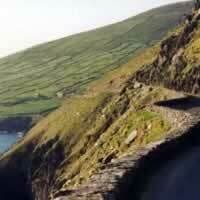 A fully flexible, self-drive vacation package exploring beautiful and exciting Ireland! First you will spend a few days in Dublin (a vibrant city with rich literary history; authentic pubs alongside modern coffee houses - all set against a lush backdrop) then continue to County Cork (see historic Blarney Castle and kiss the Blarney Stone), on to County Kerry (explore the Ring of Kerry and see beautiful Muckross House) and finally County Clare (walk along the stunning Cliffs of Moher looking out over the churning bay). Return to Dublin by way of Meath or Westmeath (Newgrange, Hill of Tara). This is a flexible vacation package. Select your number of nights in each city, rental car, desired hotel and activities. 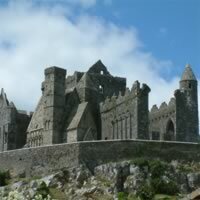 Visit Ireland on your terms! Begin your vacation package in Dublin (full of rich history, fun pubs and trendy coffee shops) then depart with your rent a car for a stay in Cork (Blarney Castle), continue for a visit to Kerry (Ring of Kerry, Muckross House and Gardens) and finally a visit to Clare (the Cliffs of Moher, Bunratty Castle and Folk Park cannot be skipped!). 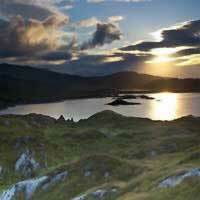 A truly unique vacation package exploring Ireland! 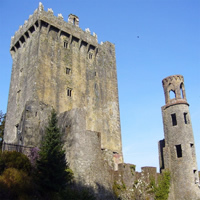 Visit Dublin, Cork, Killarney and Limerick with a rental car. Begin with a visit to Dublin (with its castles, pubs and stunning scenery), then pick up your car and depart for Cork (Blarney Castle, Old Midleton Distillery, Drombeg Stone Circle) and continue with a visit to Killarney (Muckross House and Gardens, Ring of Kerry) and finally a stay in medieval Limerick (King John`s Castle, Lough Gur Neolithic Settlement and Stone Age Centre). This is a flexible package. Select your number of nights in each city, desired hotel and desired rent a car. Everything was great. No snags. People were outstanding! The overall experience of using Tripmasters was incredible. Cannot say enough good about what a fantastic experience it was.